Mustard is an indispensable condiment used in food service environments, restaurants, fast food joints and concession stands. 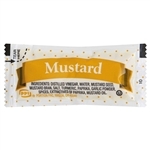 We feature a complete lineup of the best-known mustards from top-name producers like French's, Heinz, Best Foods (Hellmann’s), Grey Poupon (Kraft Nabisco) and Hormel. You will find traditional yellow mustard, Dijon, Dijonnaise, Creole Mustard, honey mustard, Bold N Spicy, Salt-Free Mustard, Chinese Mustard, Chelten House mustard and more. 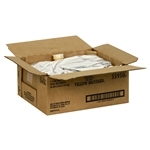 These products are packaged in every conceivable bulk size and sold at wholesale prices. Zatarains Creole Mustard - 1 Gal. Dressings and Condiments Mustard - 5.5 Grm. Mayo, Dressings and Condiments Mustard 5.5 Grm. Mustard Honey Cup - 1 Oz. Frenchs Dispensing Pouch Mustard Yellow - 1.5 Gal. Frenchs Plastic Container Mustard Yellow - 105 Oz. Frenchs Classic Mustard Yellow Squeeze - 12 Oz. Frenchs Classic Mustard Yellow Squeeze - 14 Oz. Heinz Mustard Top Down Bottle Yellow - 13 Oz. Heinz Mustard Dispenser Pack - 1.5 Gal. Heinz Plastic Squeeze Forever Full Mustard Yellow - 9 Oz. Heinz Mustard Jug - 104 Oz. Heinz Vol Pak Mustard - 3 Gal. Kraft Grey Poupon Classic Mustard - 128 Oz. Kraft Grey Poupon Classic Mustard - 8 Oz. Portion Pac Americana Mustard - 5.5 Grm. Schreiber Foods Colmans Dry Mustard 2 Kg. Schreiber Foods Colmans Dry Mustard 20 Kg. Schreiber Foods Colmans Dry Mustard -16 Oz. Grey Poupon Mustard Country - 8 oz. Mustard Yellow Squeeze Bottle Frenchs - 8 Oz. Frenchs Mustard Classic Yellow Packets - 0.015 Lb. Frenchs Mustard Classic Yellow - 7 gm. Frenchs Mustard Classic Yellow Squeeze - 8 Oz. Classic Squeeze Yellow Mustard - 12.75 Oz. Whole Grain Mustard - 11 Lb. Mustard Deli Style Squeeze - 12 oz. Mustard French's Classic Yellow Squeeze - 20 oz. Yellow Mustard - 8 oz. Yellow Mustard - 20 oz. Yellow Mustard - 14 oz. Mustard Pouch - 5.5 Gr. Durkee Mustard Whole Seed - 23 Oz. Flavor Fresh Mustard Yellow Pouch - 4.5 Gr. Flavor Fresh Mustard Yellow Pouch 500 Count - 4.5 Gr. 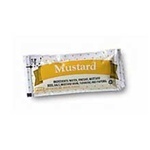 Flavor Fresh Mustard Pouch 200 Count - 5.5 Gr. Colmans Prepared Mustard - 3.53 Oz. Beaver Jalapeno Mustard Squeezable - 13 Oz. Beaver Cranberry Mustard Squeezable - 13 Oz. Beaver Sriracha Mustard Squeezable - 12 Oz. Beaver Sweet Hot Mustard Squeezable - 13 Oz. Beaver Deli Mustard Squeezable - 12.5 Oz. Beaver Coney Island Hot Dog Mustard Squeezable - 12.5 Oz. Beaver American Picnic Mustard Squeezable - 12.5 Oz. Inglehoffer Stone Ground Mustard Squeezable - 10 Oz. Beaver Sweet Hot Mustard - 8 Lb. Inglehoffer Stone Ground Mustard - 144 Oz. Beaver Deli Mustard - 8.6 Lb. 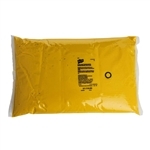 Yellow Mustard Bag-In-Box - 3 Gal. Yellow Mustard Squeeze Packets - 15 g.
Yellow Mustard Squeeze Bottle - 9 Oz. Plochmans Balsamic Stone Ground Mustard - 1 Gal. Plochmans Premium Mild Yellow Mustard - 1 Gal. Kosciusko Beer Mustard - 1 Gal. Plochmans Balsamic Stone Ground Mustard - 11 Oz. Plochmans Honey Dippin Mustard - 10.5 Oz. Plochmans Chili Dog Mustard - 15 oz. Hellmann's Condiment Mustard Squeeze Bottle - 14 oz. Mustard is a concession stand product that makes your outdoor event convenient and tasty. Select from Heinz yellow 0.2-ounce single servings in cases containing 200, 500 or 1000 units, all the way up to 1.5-gallon pouches with a built-in dispenser or 105-ounce plastic jugs. Mustard packets are convenient for takeout orders.